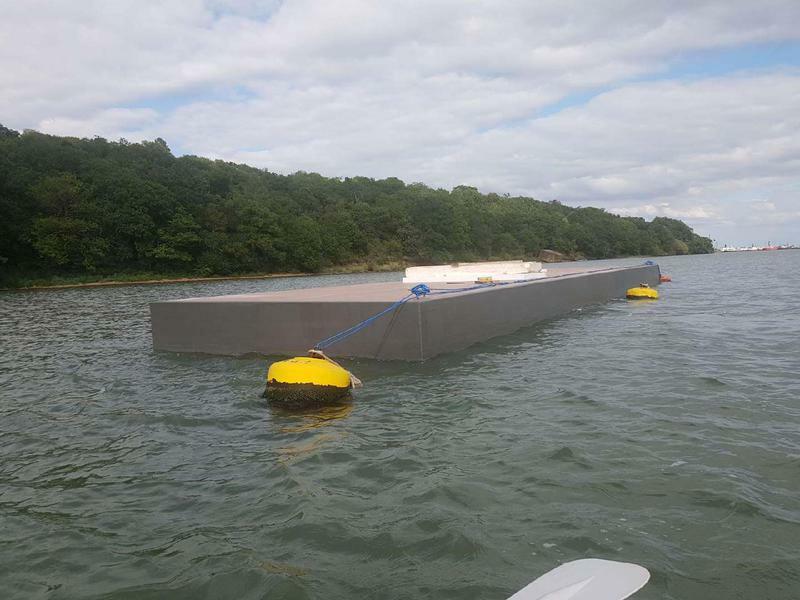 Premier Houseboats are pleased to present this good sized fibre glass pontoon, built in 2017 it is now ready to be used as a houseboat base or commercially. The structure is timber framed and filled with solid closed cell polystyrene. It is finished with 18 mm marine ply and seven layers of fibre glass. If you have a mooring, it is ideal to put a mobile home on top for a relatively cheap and easy houseboat. 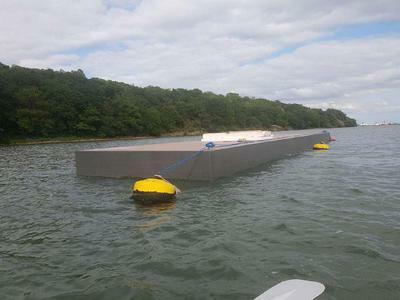 It could be just as easily used commercially, but either way you will need to find somewhere to moor the pontoon. Vessel name: Fibre Glass pontoon Vessel condition: Good Builder: Justin Hodder Year constructed: 2017 Length over all: 54' Beam: 12' Maximum draft: 2' Hull material: Glass Fibre Hull type: Flat Disclaimer Premier Houseboats offers the details of this advert in good faith as it was presented by the seller or his representative but cannot guarantee or warrant the accuracy of this information nor warrant the condition of the described item within this advert. A buyer should instruct his agents, or his surveyors, to investigate such details as the buyer desires validated. The Item described within this advert is offered subject to prior sale, price change, or withdrawal without notice.